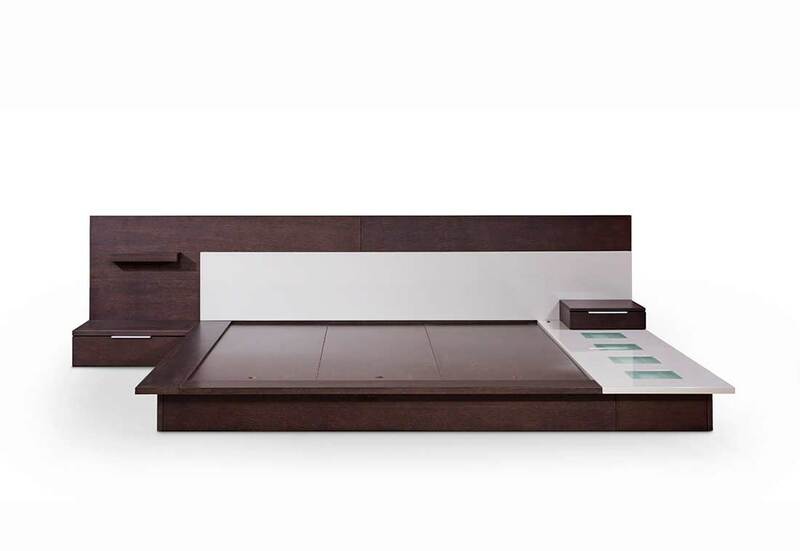 Contemporary Brown Oak & Grey Platform Bed w/ Lights features a multipurpose design with a wide lighted walk-on platform. 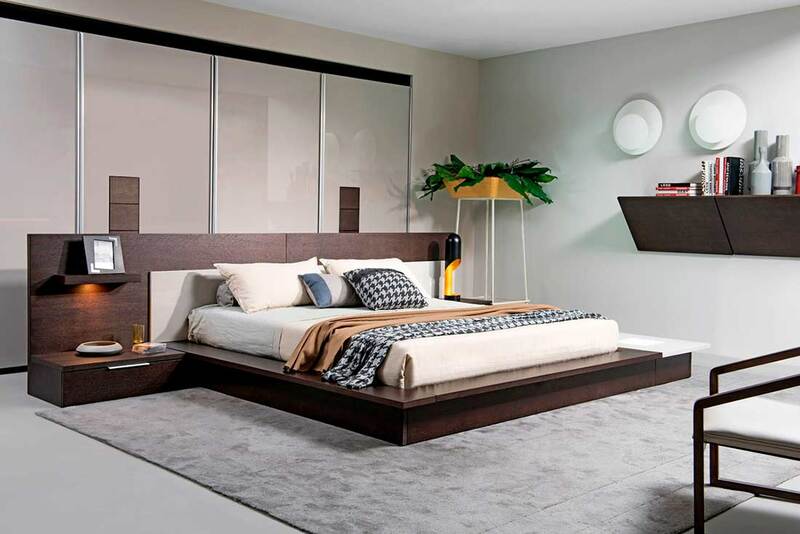 Finished in smooth brown oak and grey gloss, it features an expansive headboard with an open shelf. A light is attached underneath the shelf enough to provide illumination when reading a book while in bed. 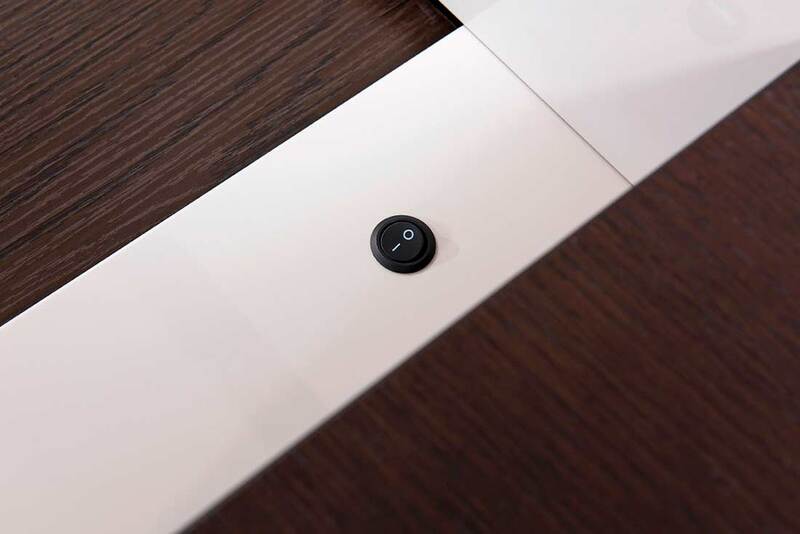 It also features built-in single-drawer nightstands on both sides with stainless steel pulls. 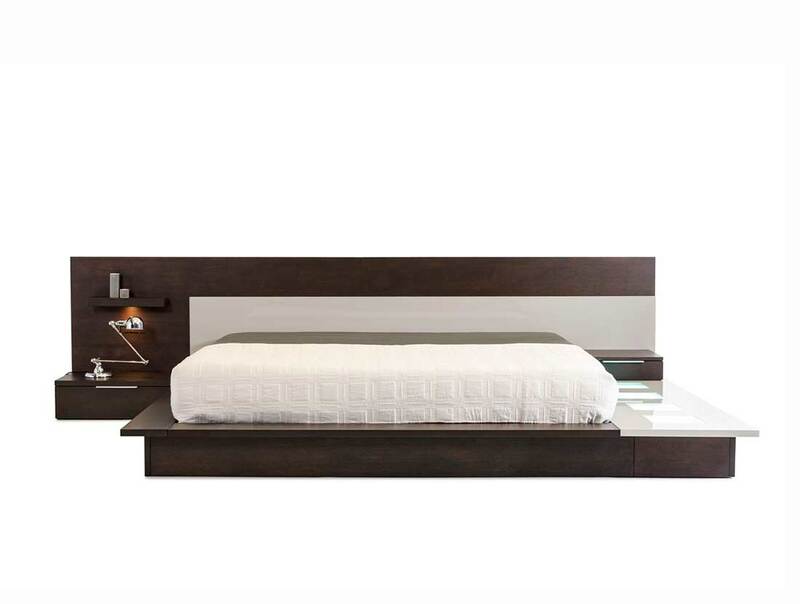 This contemporary platform bed does not need box springs and assembly. 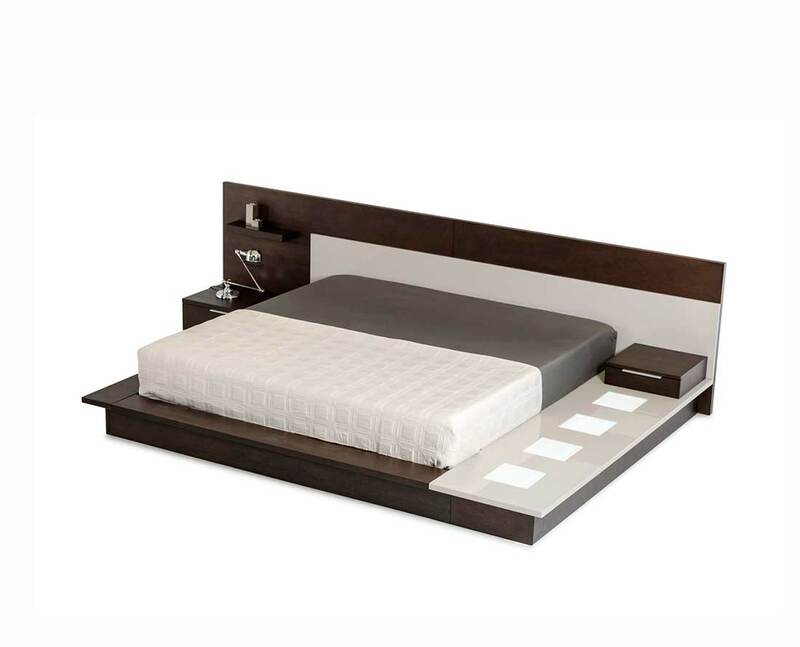 It is available in queen and eastern king sizes. 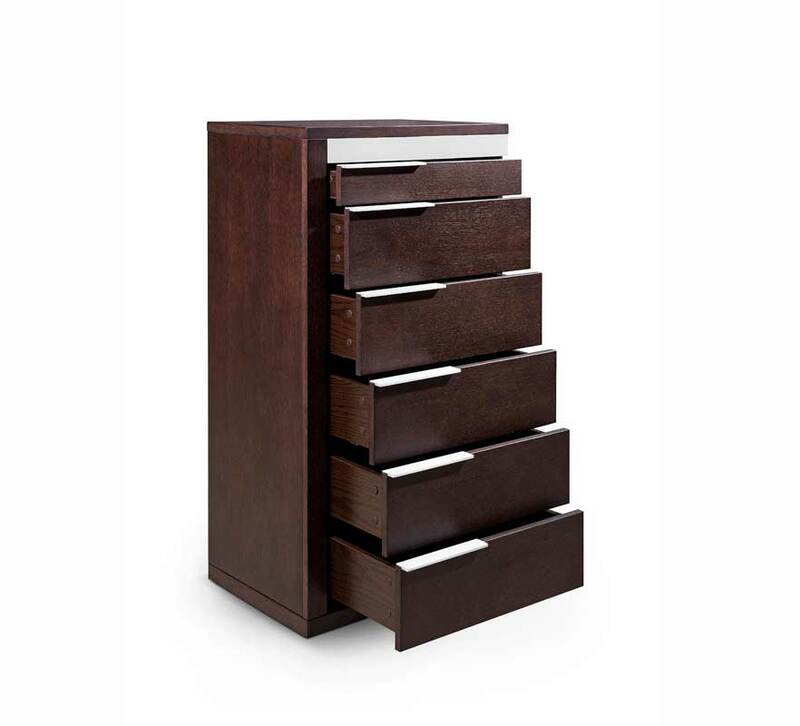 Chest is out to provide adequate storage featuring 6 spacious drawers with metal handles. 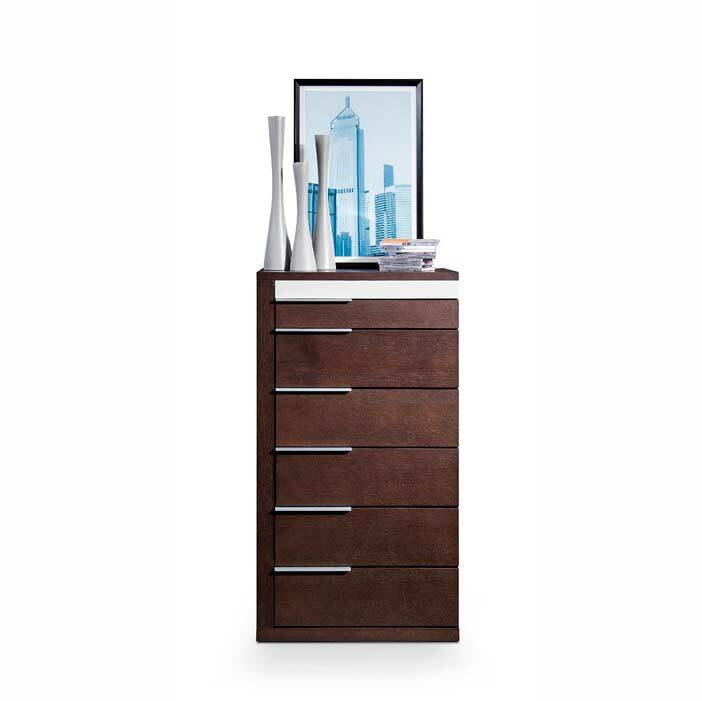 The metal handles provide a good contrast to the rich brown oak veneer and grey gloss finish of this modern chest. 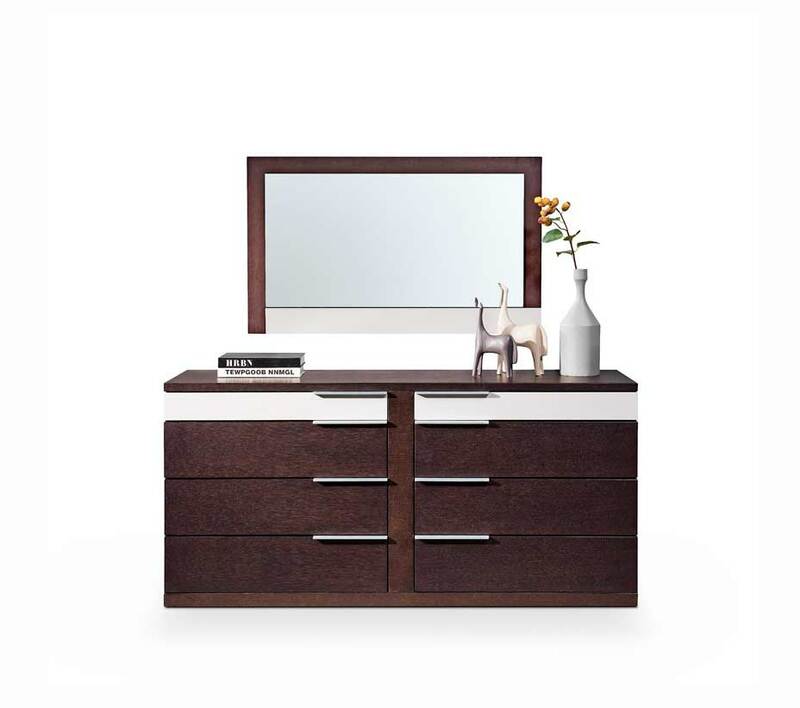 Dresser features 8 drawers with metal handles that also serve as accentuation. Chest W24" x D17" x H44"